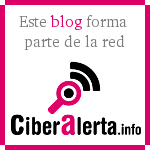 Grooming y sexting: algunos de los riesgos del uso de cámaras web por los menores « ¡Peligro: Cibergrooming! This entry was posted on 24/01/2011 a 9:36 AM	and is filed under Cibergrooming, pantallasamigas, Pornografía infantil en Internet. Etiquetado: adolescentes, amenazas, cámara web, chantajes, ciberacoso, CTIOL, generaciones interactivas, grooming, malware, menores tic, pantallasamigas, pornografía infantil, privacidad, riesgos, sexting, sextorsión, virus, webcam. You can follow any responses to this entry through the RSS 2.0 feed. You can leave a response, o trackback from your own site.